Do you have an executive-level cybersecurity strategist? Is Your Business Ready for Executive-Level Cybersecurity Strategy? Right now, large businesses are actively recruiting for the position of Chief Information Security Officer. However, in the small and medium business space, only forward-thinking organizations have this seat filled. 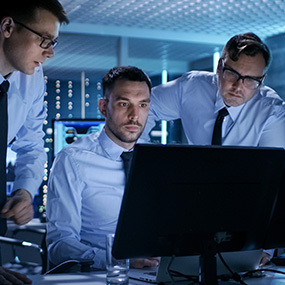 Legislatures in states across the country will soon be following the example of New York state in requiring companies to have a Chief Information Security Officer on board. It means that you have to get ahead of changes in legislation and engage an outsourced CISO to fill that position at a fraction of the cost of a full-time, C-level executive. We as a society are pretty savvy when it comes to the new digital economy and the interconnectivity it brings, but the one area that is most often neglected is security. Without high-level cybersecurity guidance, the potential for business harm is unbridled in the digital realm. It’s time for organizations not on the Fortune 500 list to take their cybersecurity seriously. 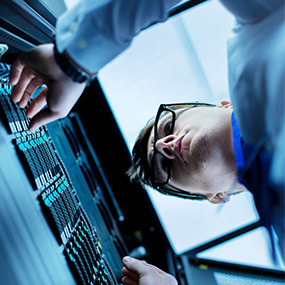 What Could a C-Level Data & Systems Security Professional Add to Your Business? Many businesses want IT represented in the boardroom and yet can’t afford a CISO or CIO. Cost is always a factor, but we want your business to have the best protection available. That’s why we have developed an outsourced CISO program that gives you the benefit of having access to a C-level IT security professional without the cost associated with hiring a full-time technology executive. What is a CISO and What Do They Do? A CISO is an individual that has a seat at the table in the executive of the company. Their job is a complex set of security-related duties. Here are some of the broad categories relating to those duties. Strategy – They design a strategy to secure the data and workflow of a company. Vendor Compliance – They work to ensure that vendors systems don’t pose a threat to the company’s systems. Implementation – They implement policies and best practices associated with the ongoing security efforts. These are all put in place and monitored by the CISO. Regulator Management – They coordinate with regulators and auditors to ensure compliance. Consultation – They consult with the company’s executive to give real-time information regarding how current operations or potential actions impact the company’s cybersecurity posture. Incident Management – They help you respond quickly and appropriately to cybersecurity incidents. Purchases – They help with choosing IT purchases to ensure security continuity. Coaching – They help the company’s executive with decision making, process implementation and policy development. Preparation – They look to the horizon to anticipate threats and prepare to meet those challenges. 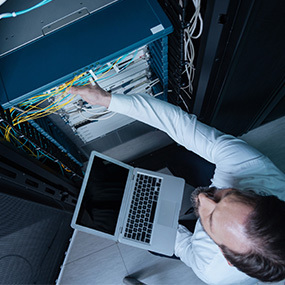 Risk Assessment – They scan, survey, and monitor the IT systems as well as policies and protocols to spot and remedy any potential vulnerabilities. Employee Training – They train employees to follow protocols and be aware of dangers such as phishing and social engineering. Compliance Frameworks – They help the company by getting them in line with SANS Top 20, and NIST Framework’s critical controls. In-house CISO’s make anywhere from $100,000 to $225,000 a year. That’s a lot of money out of your operating or IT support budget. 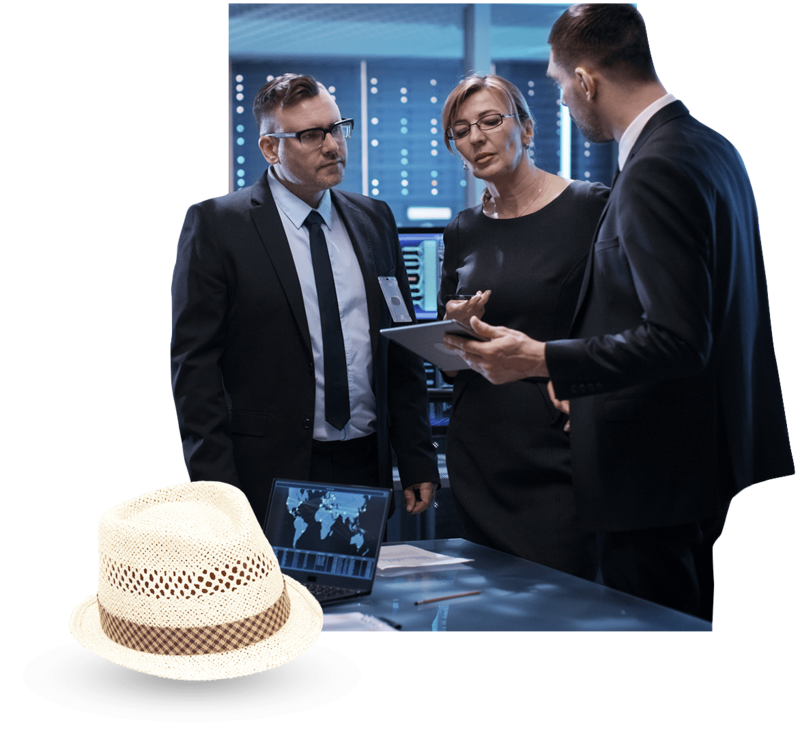 Our outsourced CISO program provides all of the enterprise-level security advantages at a fraction of the cost. Why Have Access to a CISO? There’s a growing legislative movement requiring, even small organizations, to have a CIO or CISO. Meeting compliance mandates requires having an executive onboard with an in-depth knowledge of cybersecurity. The threats posed by criminals are quickly outpacing the solutions offered by garden-variety IT support teams. Why Can’t We Just Promote Someone on Our Internal IT Staff to CISO? There are industry best practice litmus tests complicating simply giving a current staff person a C-level title. Moving someone into the position of CISO isn’t as simple as a title bump. If the individual does not have the right industry training and experience, you are setting them up to fail and placing your IT infrastructure in a compromised state.